Whole Foods Hosts a 5% Day for Lovin’ Spoonfuls! 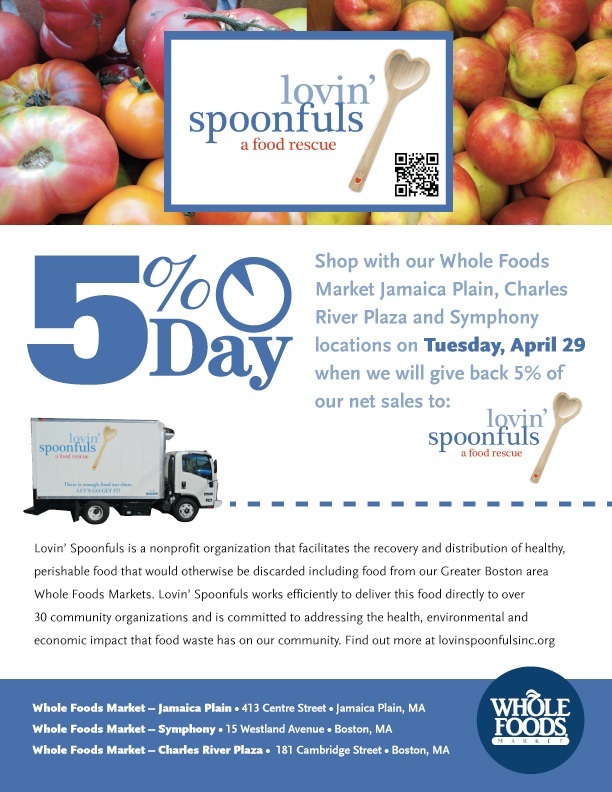 Three Whole Foods Market Boston locations are hosting a 5% Day to support Lovin’ Spoonfuls on 4/29/14! Save your grocery trip for Tuesday and support our work by shopping at the Charles River Plaza, Jamaica Plain, or Symphony locations. 5% of the sales for that day will be donated to Lovin’ Spoonfuls!